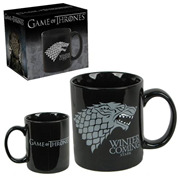 more, all themed to the popular show or the particular house you currently favor. Simply convey them as gifts to your liege or minions. Better yet, hold them all for yourself! 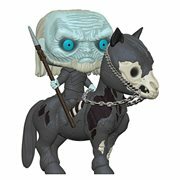 Shop Game of Thrones toys, collectibles and memorabilia! Nothing quite equals the tone and spirit of Game of Thrones, wouldn't you agree? 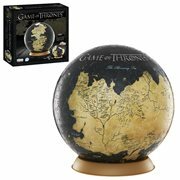 Now you can add to the mood with barware, mugs, patches, statues, vinyl figures, and more, all themed to the popular show or the particular house you currently favor. Simply convey them as gifts to your liege or minions. Better yet, hold them all for yourself! 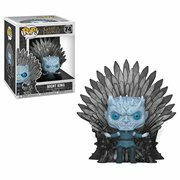 Shop Game of Thrones toys, collectibles and memorabilia! Game of Thrones is an American medieval fantasy television series created for HBO by David Benioff and D. B. Weiss. Based on author George R. R. Martin's bestselling A Song of Ice and Fire series of fantasy novels, the first of which is called A Game of Thrones, the television series debuted in the U.S. on April 17, 2011. 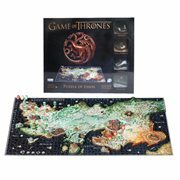 Set in the Seven Kingdoms of Westeros, where "summers span decades and winters can last a lifetime," Game of Thrones chronicles the violent dynastic struggles among the kingdom's noble families for control of the Iron Throne.